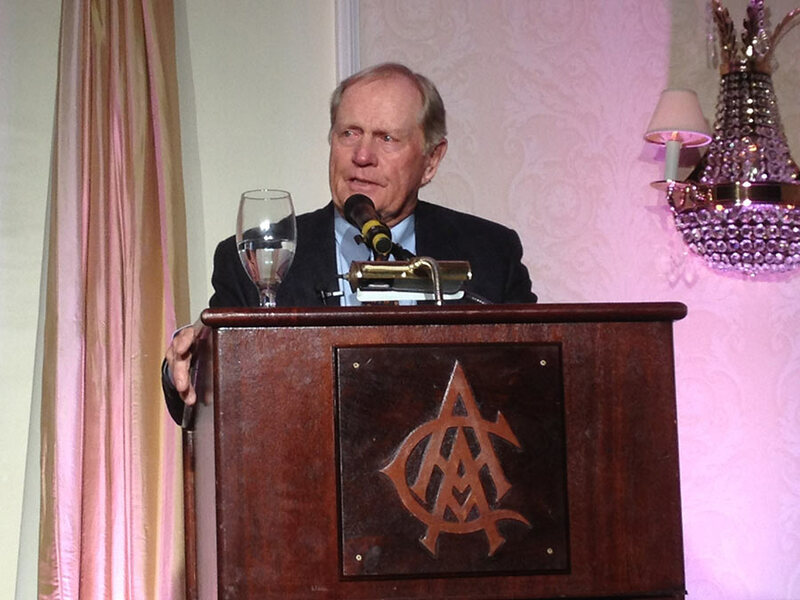 Jack Nicklaus was the honoree at Atlanta Athletic Club this evening where he received the W.R. “Buz” McGriff Award. Named for 32-year AAC Athletic Director, the McGriff Award recognizes those who exemplify excellence in sports while demonstrating characteristics of an upstanding citizen and role model. As part of the day, the Golden Bear addressed members of the AAC junior golf program and participated in a Q&A with NBC/Golf Channel’s Jimmy Roberts.